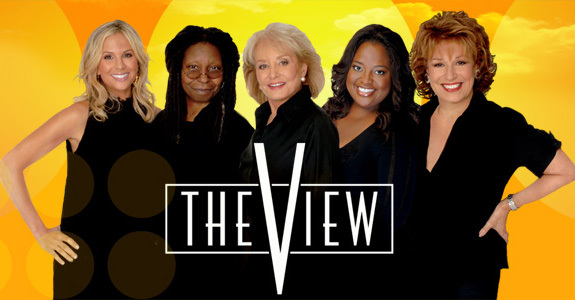 I am so sorry about this … now for your uncomfortably awkward gossip item of the day: Tracy Morgan was on The View to promote his new film Rio. 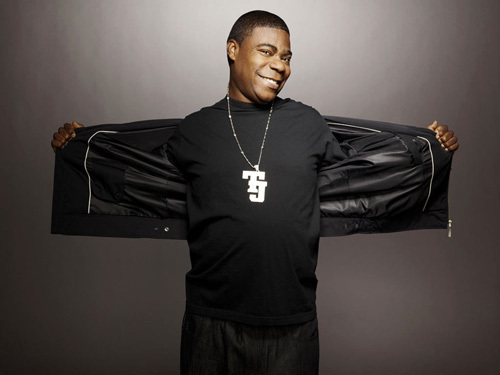 Coincidentally, View co-host and famously none-too-bright Sherri Shepherd plays his wife on 30 Rock, and she decided that then would be the opportune moment to bring up her own suspicions that Tracy is stuffing his crotch. Aaaaaaand I have to go barf forever now. 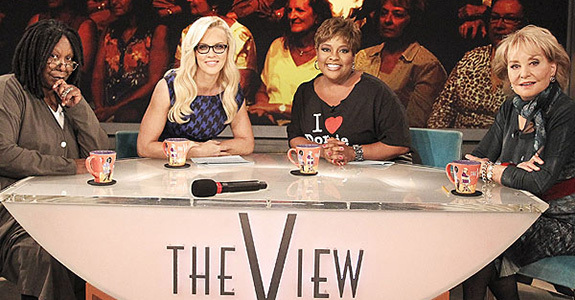 Morgan appeared on The View on Thursday to promote his new film Rio, and appropriately, he was sitting next to his 30 Rock wife and View co-host Sherri Shepherd. When the talk turned to their hilarious turn as on-screen couple, Shepherd showed a clip and made quite an outrageous accusation. “Every time he came out, he would stuff something in his pants,” Shepherd said, referring to one of Morgan’s many, many shirtless scenes. Oh, I didn’t need to hear about any of that. If we have to hear about any 30 Rock cast member’s crotch, why couldn’t it have been Cheyenne Jackson‘s? He’s hot, gay, he can sing, and unlike Tracy, he doesn’t look like a freakin’ hippopotamus. No, really, every time he takes off his shirt, I want to throw a bunch of little white balls at him while screaming “HUNGRY HUNGRY TRACY!” I’m generous like that.